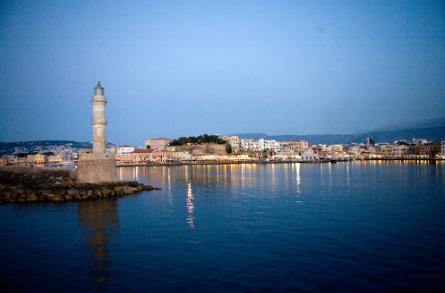 The city of Chania, which is famous for its hospitality, is situated in the most west part of Crete. The most important part is the Old Town, constructed around the Venetian harbour 600 years ago by the Venetians and the Turks. This part of the town with its old venetian mansions, the venetian walls and its narrow paved streets represents an architectural monument but also the ornament of Chania. The city of Chania with its museums, monasteries and buildings, like the Market of Chania, will astonish the visitor. A city with rich vegetation but mostly with lots of clean and beautiful beaches like Falassarna, Elafonissi and Fragokastelo but also with great gorges like Samaria, well known all over the world. Here, in the centre of the Old Town, at the neighborhood of Topanas, you will find Evgenia Rooms Apartments, close to all the services that the town can offer. At the distance of 50 meters you can park your car for free and in 100 meters you will find a beautiful clean beach and around Chania lots of other fantastic beaches.